The holidays will be extra special when you create this Personalized Christmas Shirt for mom, dad, grandma, grandpa or anyone you want! This personalized Merry Christmas sweatshirt will be customized with up to 30 festive ornaments, each holding the name of someone special. 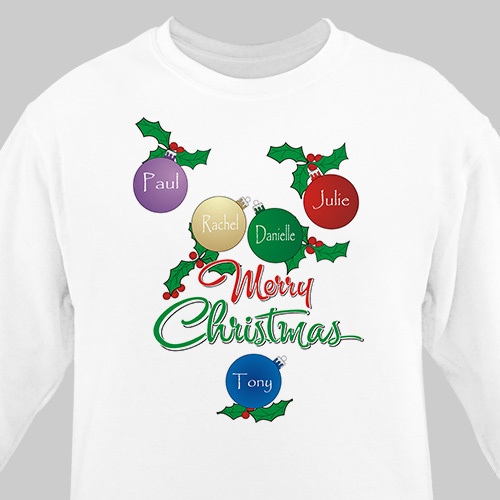 Our ornaments sweatshirt with custom names is available in three colors and adult sizes S-4XL. I love my new sweatshirt and can't wait to wear it! Very Cute! Great gift for a person that has everything.